In the early days of HubShout, Chad Hill, CEO, did it all—sales, link building, keyword research, (lots and lots of keyword research), PPC campaign management...you name it, he did it. It was during a grueling keyword research session that things took a frightening turn. Very frightening. A terrible accident. As it turns out, it was one of those happy accidents. 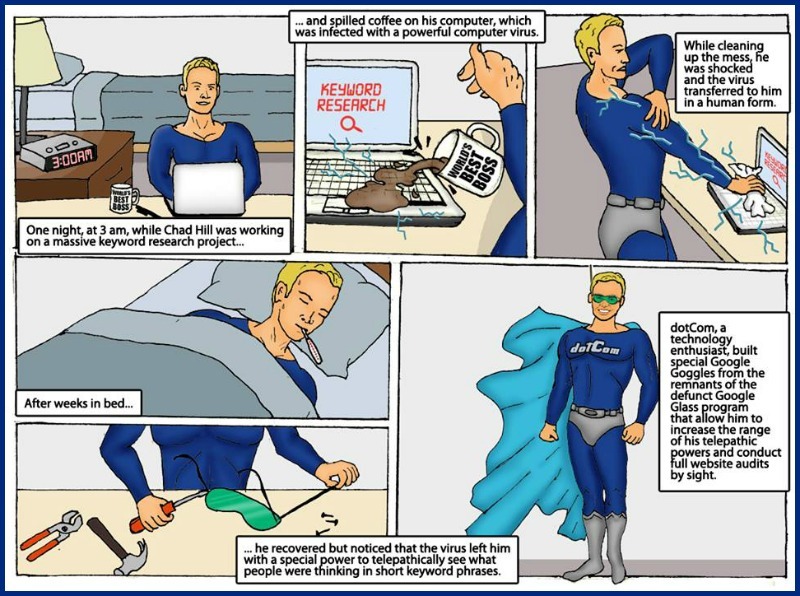 The incident brought forth the very special powers of SEO Superhero, dotCom. When dotCom and The Flash Drive introduced a white label SEO reseller program, things really took off. Though he now had impressive superhero powers, dotCom did not forget where he came from. He felt the SEO resellers’ pain because he’d been there. He knew closing deals was not easy. 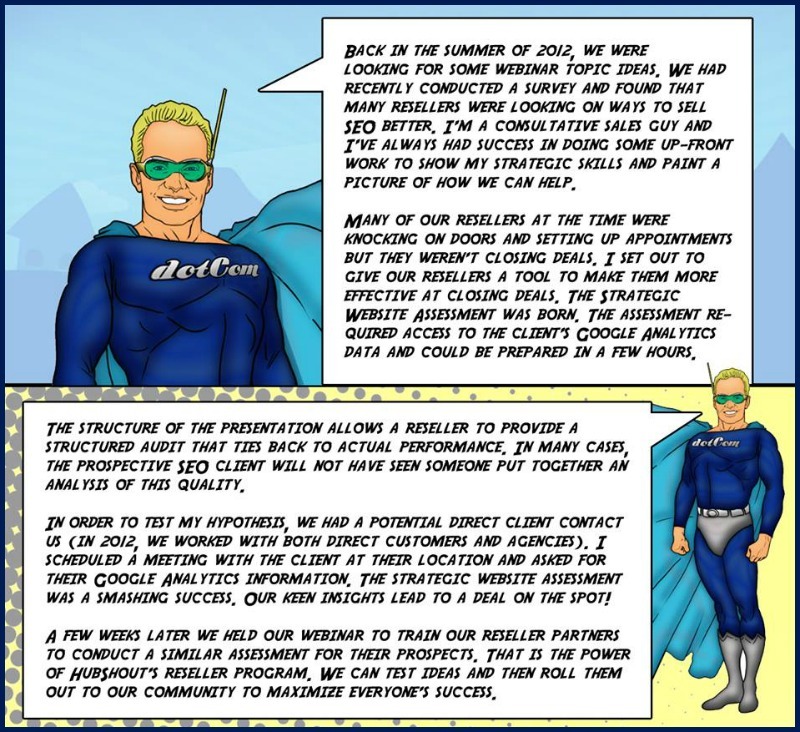 He developed a strategic website assessment that helped make SEO resellers more effective at closing deals. Before he rolled it out, he tested it to make sure it would work. He didn’t stop there. dotCom produced a webinar and trained SEO resellers how to use the new tool. 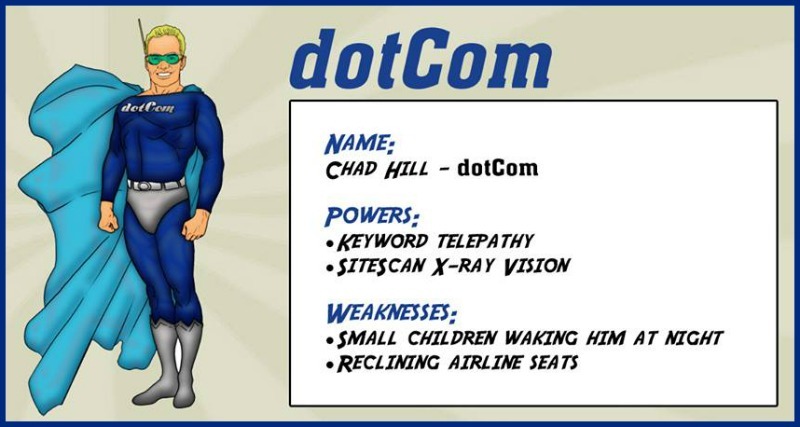 As the years passed, more SEO Superheroes joined dotCom and The Flash Drive and as a team, the SEO Superheroes became known as the Guardians of Main Street.